Home How To 5 Tips to get a confirmed PNR Ticket during heavy rush! 5 Tips to get a confirmed PNR Ticket during heavy rush! Let us face it – there are more people wanting to travel on trains in India year-round than there are seats available. And this problem gets acuter during the peak travel season such as Summer Vacations, Diwali, ChathPooja, etc. So, if you want to travel during these times and don’t want to get stuck in train travel related hassles, then appropriate information along with right tips about your PNR is essentially required. For this, doing a bit of research on trains from your starting point to your end destination will help facilitate you with easier travel planning and experience – along with increasing the probability of getting a confirmed ticket. While the number of trains has increased, so have the long waiting list. Now you really need to be smart and well-informed to get yourself lucky. What is a PNR status? PNR number is an unique ten digit number which comes with every booked train ticket. Whether you book a ticket online or physically, the ticket would definitely have this number. After booking the ticket, you would find the ticket not only having the PNR number but the PNR status as well. If you have a Confirmed ticket, the status would be shown as “CNF”, while if you have a RAC ticket it would be mentioned in the ticket likewise. Similarly, if you book a ticket and the PNR status is wait list then you will have a WL status along with a number. 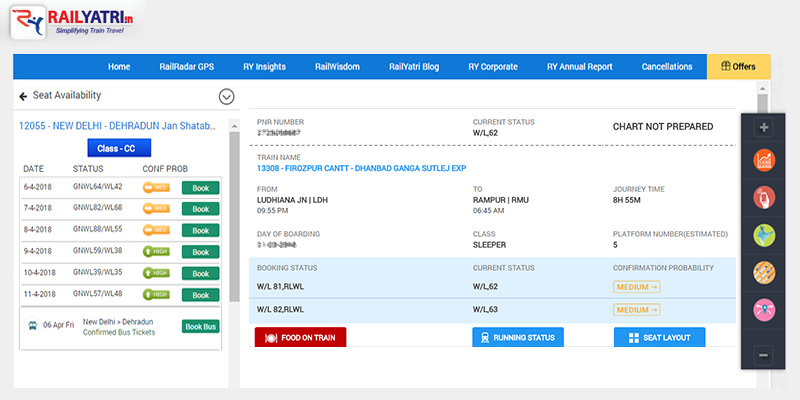 How to check PNR status with RailYatri? 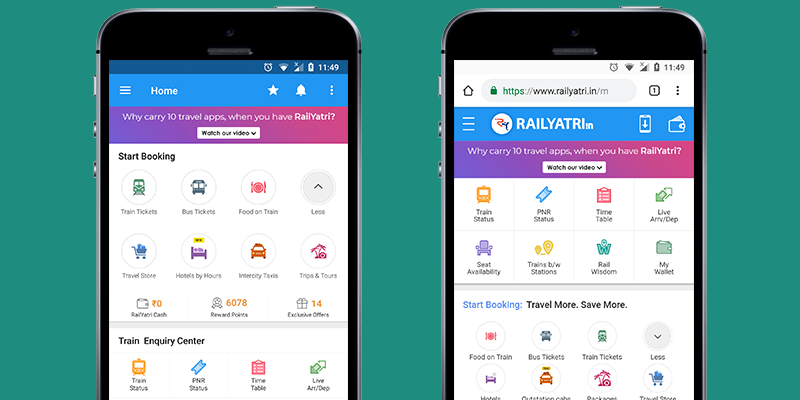 Whether you are using the RailYatri app, web or mobile web version of RailYatri, we have made sure that you have a hassle free experience. You will not have to ask any one else to guide you on how to check PNR status. You can do it yourself with 2-3 clicks or taps. Moreover, once you check a PNR with us, we keep the information stored and send you updates whenever there is any improvement. You might think that you know all the trains between your stations of interest – but in reality, you would be amazed how much this information changes in a daily fashion. Railway authorities regularly keep track where the rush is expected. On an average, nearly 100-150 Special Trains are regularly plied on popular routes. The unfortunate thing about these special trains is that they are not planned well and typically are announced for a duration of a few weeks only. This is one reason we have the Alerts & Special Trains feature in the App – where users can stay up-to-date. Time of the Day or the Day of the Week matters! Their data show that waiting list is typically higher on Fridays and Sundays but lower on Monday. So see if you can be flexible with your travel plans. Similarly, trains leaving between 5 – 9 pm are very popular compared to the ones leaving during day hours. So if you don’t mind taking an afternoon fiesta, see if you can book your tickets on train options which leave during the daytime. 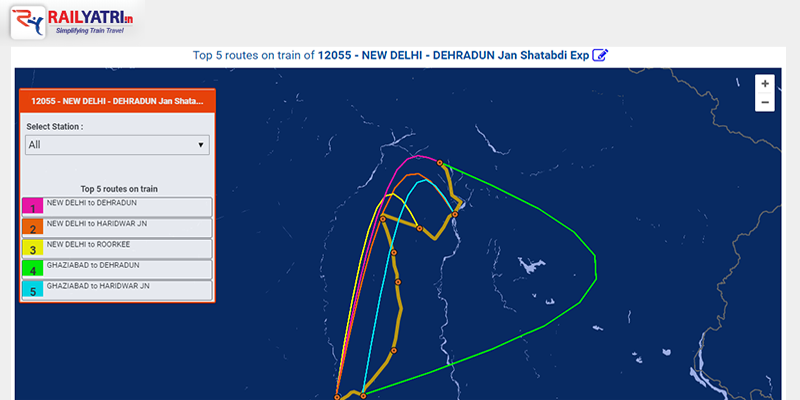 Many apps, including RailYatri app, provide very easy ways to look at the timing patterns (day/week wise) via its train timetable and settle on for the one that suits your ease. Do you know which are the popular destinations for your station? You go to a multiplex and you would know which are the popular shows which will be hard to get tickets for. A similar logic applies to ticketing also from a particular station. We all think that people go to everywhere from any station. But in reality, there are always few stations which stand out from a substantial traffic point of view. 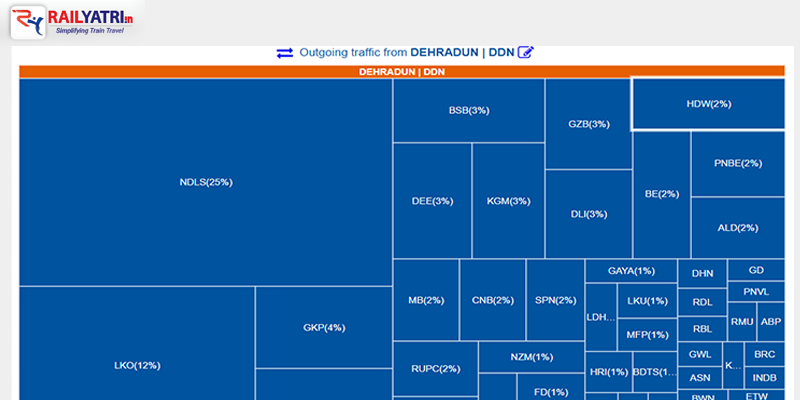 For example – huge traffic goes to Patna Jn from New Delhi Station. So it is important that you keep yourself aware of the popularity of your station. Just knowing the station preferences of other fellow RailYatris gives you an idea where the rush is going to be and how soon you should start looking for a ticket.This is a small but a very handy information which can affect your travel based decisions. Do you know the popular sections on the train of your interest? Trains are not like flights – where all travellers get on one and get down on the other. In trains, people continue to get on the trains and get down at all stoppages on its route. However, our data tells us that getting-up/getting-down is not uniform at all stations. For each train, there are always few stations where travellers onboard the most and another few where they deboard. Well, you might ask if such expanse of information is available to regular RailYatris. 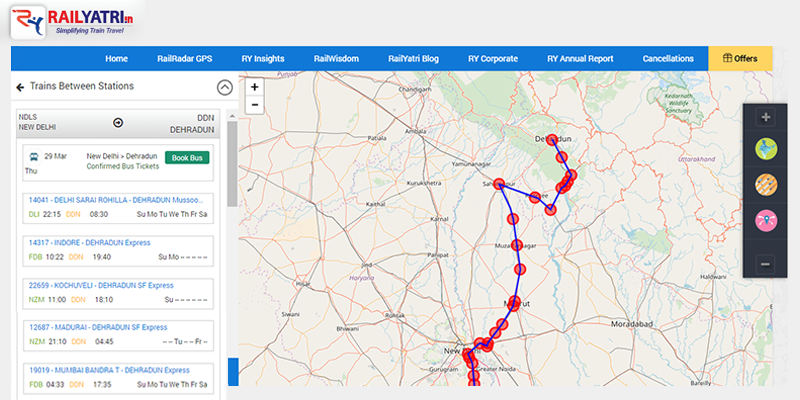 Once again RailYatri’s Insights Data Platform can be of big help there. You can simply punch in your train number and it shows you the popular travel sections which RailYatris are choosing on your train. And finally, what if the ticket is still on the waiting list? No need to give up hope! A substantial portion of unconfirmed tickets, get confirmed. Question is can you wait and control your anxiety? Railway passengers are often stuck with the worries of unconfirmed PNR status, which causes uncertainty in the probability of their journeys. 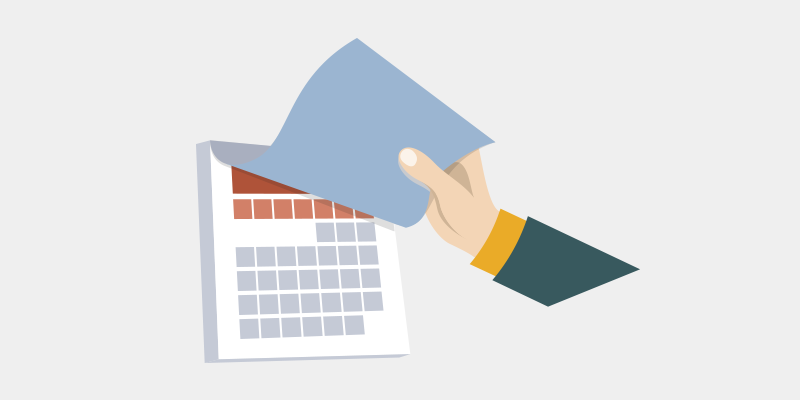 Ticket confirmation follows a pattern and if proper mathematical algorithms are used, PNR confirmation can be predicted to a fair level of accuracy. 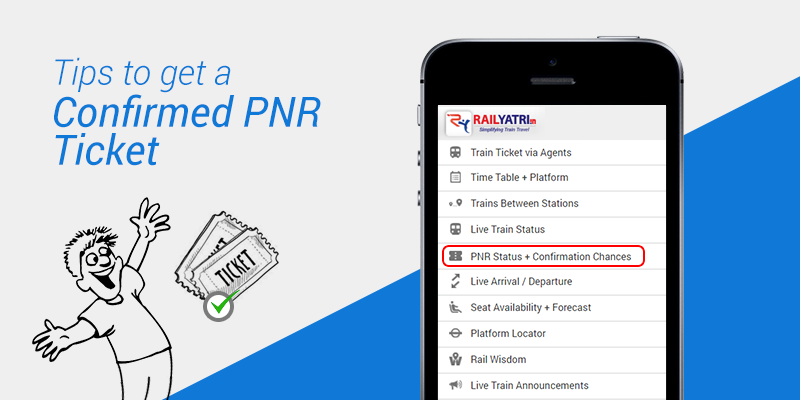 One such mathematical algorithm has been implemented by us at RailYatri.Using RailYatri app, you can easily configure out the levels of confirmation probability of your PNR waitlist that will help you with much quicker and easier travel decisions. Previous article6 Best last-minute Weekend Trips, for the lazy planners ! Next articleRoad trips in Thekkady that bring you close to nature! How Safe is travelling by Train during Pregnancy? The speed of the Bangalore chennai and Chennai Bangalore Double decker AC train to be incresed because a person can not sit comfortably in that small seat. Please reduce the travelling time atleast. Please use RailYatri’s assisted train ticket booking service for confirmed tickets. Click on the link: https://www.railyatri.in/train-ticket.